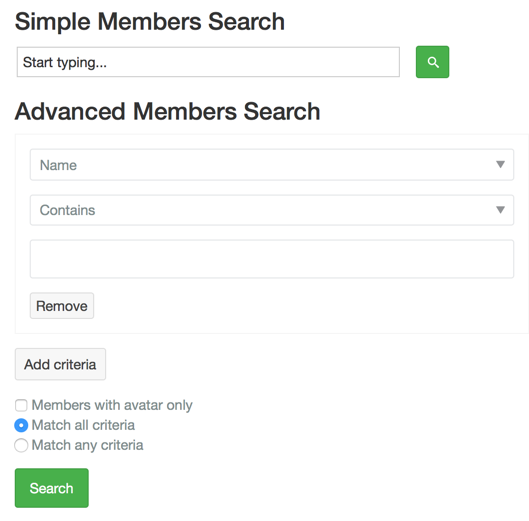 Members search module allows placing the simple search bar or complex advanced search into any position in your template. There is not much to configure in this module. You can choose either simple or advanced layout. Simple - Show only a text field to search users by Display Name. 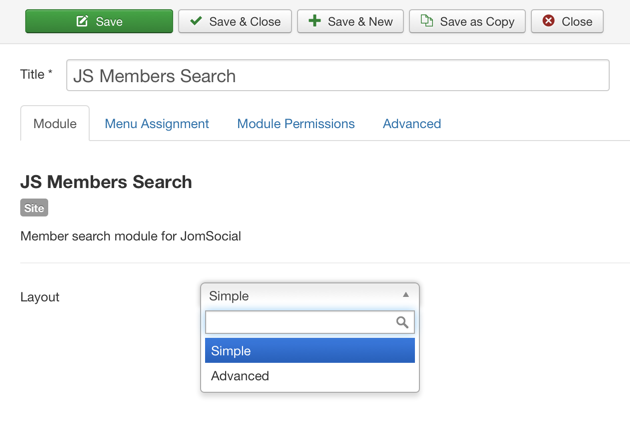 Advanced - Shows full blown advanced search from JomSocial.